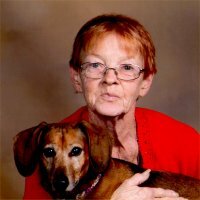 Jane J. Mundy, nee, Powers 68, of Belleville, Illinois, born Monday, October 9, 1950, in Belleville, IL. passed away Monday, April 8, 2019 at Memorial Hospital in Belleville, Illinois. Jane worked as a cashier in retail. She was a member of St. Augustine Canterbury Church in Belleville, IL. Memorials: Memorials may be made to the Belleville Area Humane Society. Visitation: Visitation from 9:00 am to 10:00 am on Friday April 12, 2019. Funeral: Memorial Mass will be held at 10:00 am, St. Augustine of Canterbury-Belleville, with Msgr. Bill McGhee officiating.